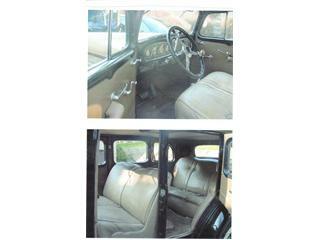 1934 Buick 5 passenger touring sedan. 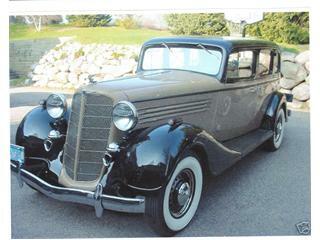 Very rare car and fully restored but with modern power train and suspension. 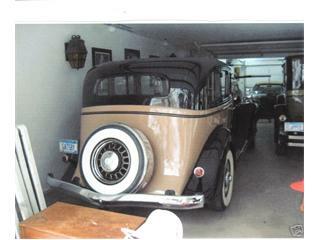 350 Chevy engine and turbo 350 transmission, rebuilt Saginaw front suspension, Chrysler rear end, front and rear power retracting sunroofs, all wood in great condition, exhaust, FM/AM radio CD surround sound, original gauges, leather seats, opera lamps, heat/AC combo unit under dash, approx 8000 miles since restoration complete. Many more interior delites. 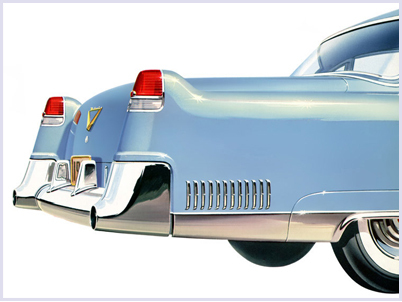 Park lamps in headlamps and park and turn signals in fender lights. Appraised at 32500.00 in 2003 by Yesterday Auto Sales of Minneapolis, MN.